Want To Lose Weight? Try The Keto Diet! Weight Issues bother most of us. In our fast-paced lives, obesity, lifestyle diseases and metabolism issues have increased. Due to the increase in such health problems, researchers have found various kinds of diets. Some work while some don’t. There are very few diets that have been supported by researchers and scientists which benefit the human body. A Ketogenic diet is one such diet which has the support of scientists and works. What is Keto or Ketogenic diet? A Ketogenic diet is a diet plan which is high in fat, moderate in protein and extremely low in carbs diet. ‘Keto’ in Ketogenic diet means that it allows the body to produce small fuel molecules called “ketones”. Ketones is like an alternative fuel source for the body. This is used when blood sugar or glucose is in short supply. When does the body produce ketones? When we eat very few carbs and a moderate amount of proteins. It is the carbs that are quickly broken down into blood sugar and even excess protein adds to blood sugar. So, a keto diet for weight loss is a diet that you should really try out. The liver produces ketones from fats. These are the ketones that serve as fuel for the body and especially the brain. Thus when a person is on a ketogenic diet the body runs mostly on fats and burns fats the entire day. When insulin levels become very low, fat burning can increase drastically. Thus accessing the fat stores becomes easier in order to burn them. A Keto diet results in Ketosis which is a metabolic state and the fastest way to lose weight, without going on a fast. Who should NOT try a Keto diet? What to eat on a Keto diet for weight loss? Staple foods on a ketogenic diet include meat, fish, seafood, butter, eggs, cheese, heavy cream, oils, nuts, avocados, seeds and low carb vegetables (usually vegetables that grow above the ground). On the other hand, all carb sources are eliminated, including grains, rice, beans, potatoes, sweets, milk, cereals, fruits and some high-carb vegetables. Also one needs to eliminate sugar, chocolates, alcohol, soda, juice or candies. 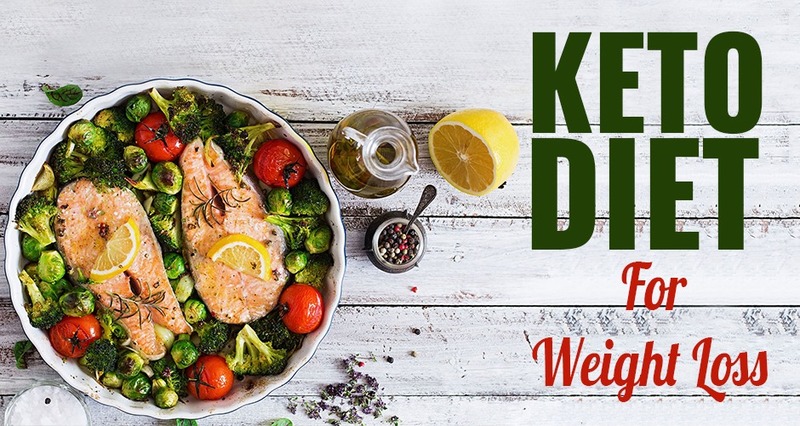 Thus in a Keto diet, one needs to avoid sugary foods completely, as well as starchy foods like bread, pasta, rice and potatoes along with processed foods. Note: The food in a Keto diet should primarily be high in fat, and only moderately high in protein. Excess protein can be converted to blood sugar in the body. Researchers and scientists around the world have proved that a Ketogenic diet really works and helps in weight loss. The Keto diet helps in losing fat while keeping the muscle mass. The Ketogenic diet is superior to low-fat diets because it helps in more weight loss than a normal low-fat diet. When a normal person eats a meal rich in carbs, their body takes those carbs and converts them to glucose for fuel. Insulin is then made to move that glucose into the bloodstream. This glucose is the body’s primary source of energy when carbohydrates are present. On the ketogenic diet, your carbohydrate intake is kept very low. So when there are no carbs present, your body must utilize another form of energy. That is where fat comes into the picture and Keto diet uses this fat as a source to fuel the body and produce energy, in the process of burning more fat. Note: Keto diet should be stopped once the body’s ideal weight is reached. Always consult your doctor before starting on a diet.